Who doesn’t want a Costco membership deal? This is about the best deal you’ll get all year for a new membership (and roughly happens about once per year). This is a very limited offer that we don’t know the end date of, but will likely be only 1 week, so act fast! The deal is through Groupon, and we’ll outline all the steps necessary to complete. It will cost you $60 and you’ll get up to $145 of value out of it. Also, if your membership expired before February 1st you can renew using this deal as well! Remember, this deal expires very soon, so take advantage before it’s gone! If you’d like to upgrade to Executive you can do that at the membership counter when redeeming your certificate. If you’ve been a secondary cardmember but not a main account holder we believe this will work in that case as well. Another tip we have is that you should definitely wait until the first of the month to redeem your certificate in store so that your membership will last longer. If you redeem it on the 31st of the month you would get one less month of membership. Complete your purchase on Groupon. Receive your voucher from Groupon and redeem it online. 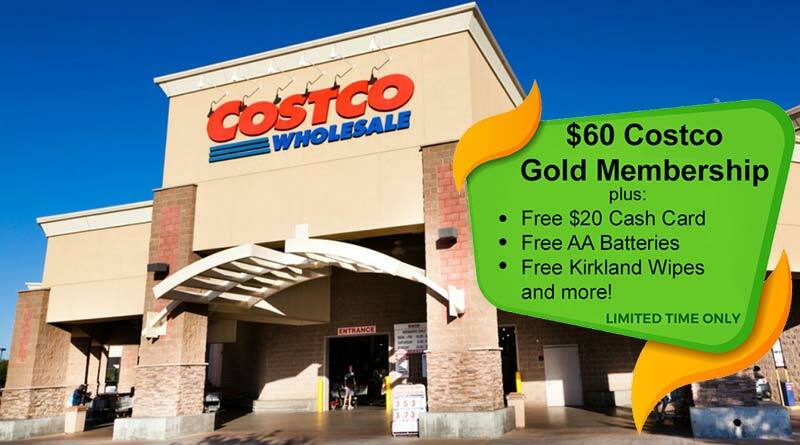 You’ll get an email with a Costco Membership Activation Certificate to print. Bring the printed certificate to your local Costco to complete your membership application. Receive your Costco Cash Card within 4-6 weeks and your coupons within 4 weeks of voucher redemption. You can also view this video showing you the steps once you’ve completed your purchase.